These days, Bitcoin is the most popular cryptocurrency used as an alternative to traditional payment systems. All Bitcoin transactions must be confirmed through a process called mining. This process is done by CPU-intensive software that solves complex hashing problems, which are unique to each transaction. Originally, Bitcoin mining was conducted on individual computers (hardware mining). Now, however, in order to have enough “hash power”, large data centers running many specialized computers are needed. There are two types of mining companies: 1) those that operate independently, and 2) those who actively recruit “investors” – Cloud Miners. All of these mining companies are in competition with each other to confirm all of the transactions and collect the associated fees. Those with the most hash power get bigger slices of the transaction fee pie. So, who will win this battle? Mining can be a great way to enter the cryptomarket if it is carefully planned. But, many newcomers have rushed in and failed, due to expensive, career-ending mistakes. Lets look at these mistakes, and how to avoid them. 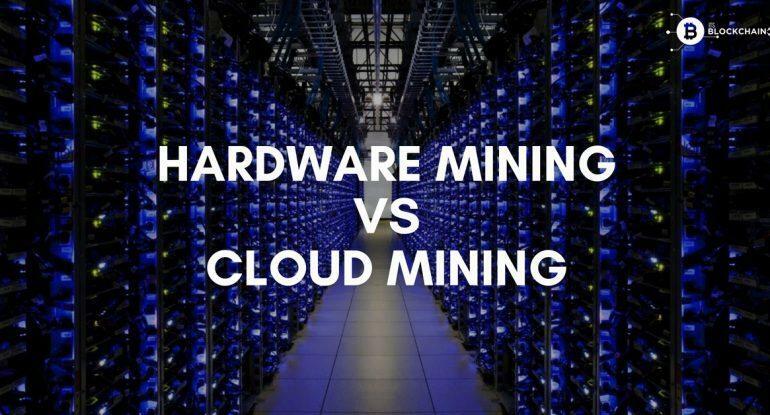 In the end, perhaps you can decide which is right for you – Cloud Mining or Hardware Mining? Which are the Best Paying Cloud Mining Providers? If you are interested in hardware mining for cryptocurrencies at home, you will have to learn a bit about equipment, software and crypto in order to get everything setup and ready. 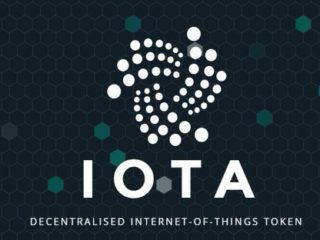 You will also need to think about a good place for computer mining rigs or ASIC miners, as they usually use a lot of electricity, give off quite a bit of heat and are noisy. Mining itself consumes a lot of energy. Moreover, hardware can be very noisy depending on the equipment type and brand. Therefore, hardware miners often join in groups to use various equipment to mine cryptocurrencies efficiently. Mostly, all hardware miners join cryptocurrency mining pools. By joining a pool, miners put together their resources and become one entity in the network. Also, pools generate more rewards as compared to solo mining, as pools generate more hashes. If you prefer ASIC miners, you should understand that they get outdated quickly and their price will significantly reduce over a short period of time. ASIC miners do come faster, but they are also more limited in usability as they are designed to work only for a specific crypto algorithm. If you are using a computer for CPU or GPU mining, you will generally deliver much more in terms of retention value of the hardware itself over a much longer period of time, and you will be significantly more flexible, as you will be able to switch between different algorithms. Using computers for mining rigs looks like a better long-term investment plan compared to using ASIC miners. With ASIC miners, timing is very important, so if you manage to get one in time, you can make a quick profit. But if you are late in getting the hardware, it will just get harder and harder to break even (ROI). When an ASIC miner comes out for a given crypto algorithm, it quickly makes mining with CPU or GPU pointless. In case you prefer to continue mining some coin that got an ASIC miner, you will have to buy an ASIC and switch your computer to mine something else. As you have probably realized, equipment is one of the biggest expenses. If you want to mine BTC, for example, you’ll most likely need an ASIC which is typically much more expensive than a GPU and CPU. Despite their potential to mine at much faster hash rates, ASIC often face scrutiny due to the fact that they cannot be repurposed. 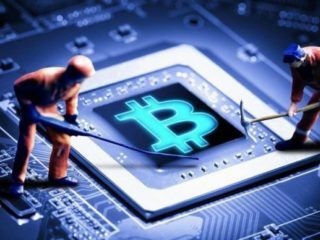 This means that, if a cryptocurrency project makes changes to their hash algorithms, ASIC miners will have to buy new gear. This is a significant cost that negates revenues and can lead to investment losses. In contrast, GPU and CPU can generally be repurposed if algorithm changes occur. In addition, these rigs are usually much smaller than their ASIC counterparts. Also, more projects are continuing to trend towards ASIC-resistance rather than ASIC-acceptance. For most miners, this means an overall reduction in both upfront and ongoing costs. Of course, other factors like electricity costs have to be considered. Operating a Bitcoin mining rig consumes a lot of electricity. You’ll need to find out your electricity rate in order to calculate profitability. This can usually be found on your monthly electricity bill. In order to mine effectively, you’ll need to join a pool. The pool platform deducts some sort of a fee in order to maintain its operations. Once the pool manages to mine Bitcoins, the profits are divided among the pool members, according to how much work each miner has done (i.e. their miner’s hash rate). Profitability decline per year. The idea is that since no one can actually predict the rate of miners joining the network, no one can predict how difficult it will be to mine in 6 weeks, 6 months or 6 years from now. Since nobody knows what the BTC/USD exchange rate will be in the future, it’s hard to predict if Bitcoin mining will be profitable. 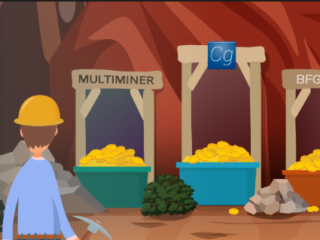 This simple calculator will help determine the potential profit for a miner. It takes into account all relevant costs, such as hardware, electricity and fees. Of course, nobody can be certain on how long it will take to break even on investments in hardware, but one still must do research on estimated time frames and create a business plan. According to most miners, it’s difficult to expect profitability within 3 to 6 months. 10-15 months is realistic for many, though. A lot depends on crypto prices, electricity costs, and the type of mining rig you use. A profitability calculator can be helpful here. It offers the most energy efficient unit as well as proceeds per month. This incredible device’s hash power is between 13.5 TH/s and is about the most powerful hardware available to anyone. It is capable of generating approximately 0.3603 BTC monthly. Convert that to dollars, and you’ll see that it’s, by far, one of the best units to produce significant returns on your investment. Since it is so valuable and highly coveted, it naturally costs more than its counterparts in the market, with prices running over $2,000 for used units. It is not as efficient or powerful as the Bitmain AntMiner S9, but it lasts longer, as it doesn’t push its chips hard like the S9 does. In fact, the Bitmain manufacturers are so sure of its reliability that they have a warranty that’s twice as long as that of S9 -180 days vs 90 days. It’s also very easy to set up, and promises decent returns on investment. Its hash power is 11.5 TH/s and uses 1.45kw for its processor. Because the unit is in very high demand, the Bitmain AntMiner T9 is also very scarce and difficult to get. Available units are steeply priced at over $1,000 for new units. People like the Bitmain AntMiner S7 because it’s more affordable and capable of providing decent returns on a monthly basis. The AntMiner S7’s hash rate is 4.73 TH/s and requires about 1.3kw for its operation. What some people do, however, is buy multiple units so they can make more money. Of course, this places a huge demand on electricity, resulting in steep utility bills. But at the end of the day, they make a lot more. While you can’t get it from the manufacturer’s website – it’s been discontinued – you will find new units available for sale on eBay and Amazon for $1,000+. Average bitcoin earned per month is usually around 0.16 BTC. These units are quite energy efficient and powerful, too. The average unit costs about $1,600, has a hash rate of 7 TH/s and draws just 1.15kw of electricity. The only reason it’s not as popular as its Bitmain counterparts is because it requires bulk purchase – often up to 20 units per order. This huge capital outlay is why the product is scarce. The answer to this question depends on where you live and what level of investment you’re willing to make. You may find that you live close to a renewable energy source and therefore, can run the most powerful mining rigs possible without killing your profits on electricity. Not everyone can own a big data center, obviously, and that’s why recently a new type of mining has started to gain popularity. Cloud Mining is the process of mining Bitcoins or other cryptocurrencies by utilizing a remote datacenter with shared processing power. It means that a cloud company purchases special hardware and stores it at their place while you pay the company for using this equipment to mine digital currencies. In this case, your payment mostly includes maintenance and electricity fees which vary depending on the country where the company operates. 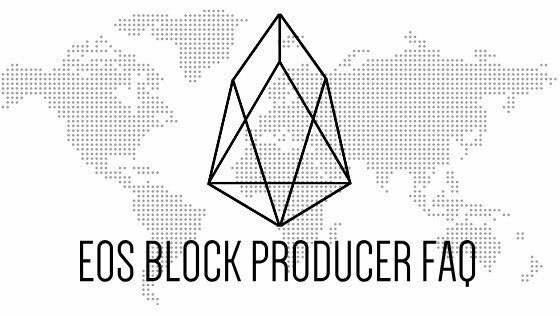 In other words, an organization sets up mining rigs and maintains the facility. You just need to register and purchase contracts from the organization by depositing some fees. Once your fee is deposited and your contract initiates, the company will allocate its hardware to your account and all the rewards generated by that mining rig would be transferred to your account. The cloud company will obviously deduct some fees before transferring your rewards to your account. Lease a equipment that is hosted by the provider. Create a (general purpose) virtual private server and install your own software. SHA-256 and Scrypt are the two most common algorithm systems used by cryptocurrency miners in order to authenticate blocks of transaction data. The system used, unfortunately, is not up to the miners; it’s set by the developers of a given type of currency. We’ll look at the two types, and the arguments being made for and against them. SHA-256 is the more complex of the two, and it’s used by Bitcoin and most of the currencies based upon its code. Data block processing with SHA-256 tends to be slower — transaction turnaround times, as a result, are measured in minutes as opposed to seconds — but it’s argued that it’s also more thorough and leaves less room for error. Its advocates also say it’s better for overall data security. Successful mining of coins using SHA-256 often requires hash rates at the gigahashes per second (GH/s) range or higher; this means it’s generally more difficult for individual miners to use; those who do often employ an ASIC or some other separate computing device set up to perform mining tasks only. Since some miners can’t devote a machine — or at least an ASIC — to the task of mining, they often join pools (we’ll discuss those in the next section). Scrypt is the quicker and simpler algorithm of the two, and as new digital currencies are being introduced, more of them are favoring it over SHA-256. Scrypt is much easier to run on an existing CPU, and tends to use up less energy than SHA-256; as a result, it’s favored by most individual miners. Compared to SHA-256, Scrypt hash rates for successful coin mining generally range in the kilohashes per second (KH/s) or megahashes per second (MH/s) areas of difficulty, which can be achieved with regular computers without the need of ASICs or other hardware. Some argue this simpler system is more susceptible to security issues, since fast transaction turnaround times can mean the system is taking a less thorough look at the data. Its advocates point out, however, that this hasn’t as of yet presented a real-world problem. 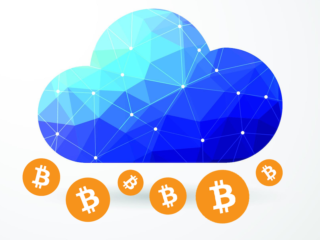 Compared to hardware mining, cloud service costs are much less and much simpler to calculate. Most companies run on a monthly subscription model that is determined by the cryptocurrency you want to mine and the hash rate speeds as seen on popular sites like Genesis Mining and HashFlare. Prices for 2-year contracts of Ethereum mining with GenesisMining currently vary from $1,520 at 40 MH/s to $12,960 at 360 MH/s. At the same time, a Litecoin contract is for 200MH/s costs $2400 – or $12 for each MH/s – and lasts for 2 years. While HashFlare offers 1-year contracts of ETH for $1.80 per 100 KH/s. 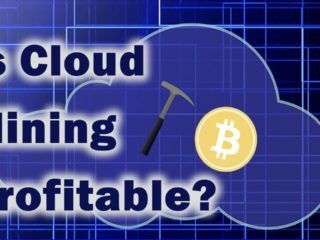 You might be wondering what the cloud mining profitable coefficient is, and what you will get in the end. I would suggest starting with the profitability calculators to see how long it will take to earn back your investment (e.g. My Crypto Buddy, Coin Warz, etc.). For example, as of May 30, 2018, HashFlare Scrypt and SHA-256 currently take 3,828 and 3,983 days (or a little over 10 years) to reach ROI on BTC respectively according to this calculator from Coinstaker. GenesisMining for ETH has an even worse ROI, taking around 25,992 days (70+ years). As more and more people are turning to cryptocurrency, the risk factor involved in the industry rises as well. It is important to do proper research before stepping into the world of cryptocurrencies. Thus, you should be very alert while indulging in any crypto trade or business. Moreover, figuring out the authenticity of any Bitcoin contract can be a difficult task; many websites can write fake reviews for a particular contract firm in exchange for a certain sum of money. Mining is the only way to extract new bitcoins without buying or exchanging them, but it has become an incredibly resource-intensive activity. Due to the unique way new coins are mined, it takes massive amounts of processing power and electricity, and thus, money, to mine a coin. However, many companies now offer regular users the ability to rent some server space to mine coins for a set rate. Some companies offer ‘lifetime contracts’, which keep costs the same and supposedly offer outstanding returns. However, as the difficulty of mining increases, the same investment will return smaller amounts each time. Moreover, some companies make bold claims regarding their returns without being transparent about the true costs and diminishing returns. Does the site use HTTPS? Did you find the site by a referral link on social media? Does the cloud mining operation not give any insight into what pool they use to mine, or let you select the pool you want to direct your hashrate to? These are just questions to ask. Others simply operate Ponzi schemes that can lead to massive losses. Ponzi scams are promises from websites that you will “double your bitcoin” overnight, or some similar outlandish claim. Ponzi sites may be harder to spot, but they’re easy to figure out once you understand this: whatever they promise to you, they promise to do it after you send your money to them. Ponzi sites also typically have referral programs, so if you get others to sign up for the site by visiting your affiliate link, you may make a few cents. This is another red flag; as on social media you can see a lot of shared links with referrals within the URL. It’s vital to look into opportunities and understand the risks and costs associated with mining before investing. Cloud mining is 100% space effective as it doesn’t occupy physical space and doesn’t create noise You need to maintain cooling of machines, dust cleaning and performance monitoring. Most hardware mining companies are safe. Many existing cloud services are scams. Hardware owner is the only holder of all his income. You have to pay operating costs, which results in lesser returns for the miner. Hardware miners get to experience an amount of satisfaction of achievement, from setting up their own mining rig, and finally getting all equipment to work. In cloud mining, you just sit back and wait for payouts. Hardware miners are more educated as this type of mining requires more research. Cloud miners may have no idea what a blockchain is. There is no right or wrong here, so the answer to Cloud vs Hardware mining is not easy. Both have their own advantages and disadvantages. If you are technically sound, go for hardware, but if you aren’t, cloud is a better option, although it will fetch you less returns. In the end, the best advice is probably to be more careful and not risk everything on a single decision,the old adage “It’s better to be safe, than sorry”, applies here!